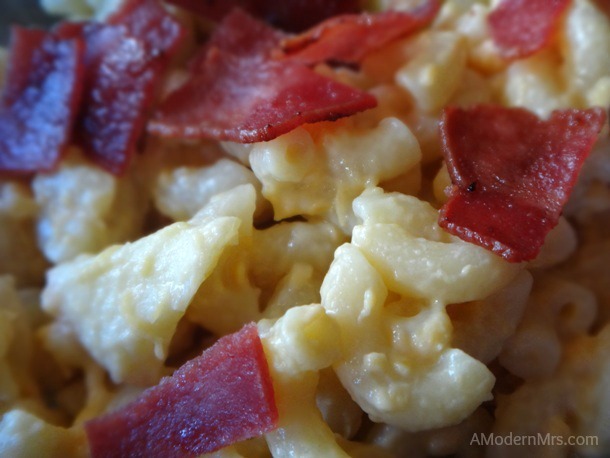 Butternut Squash Mac 'n Cheese with Apples and Bacon Recipe — a Modern Mrs.
"Macaroni and cheese is not dinner!" Me? 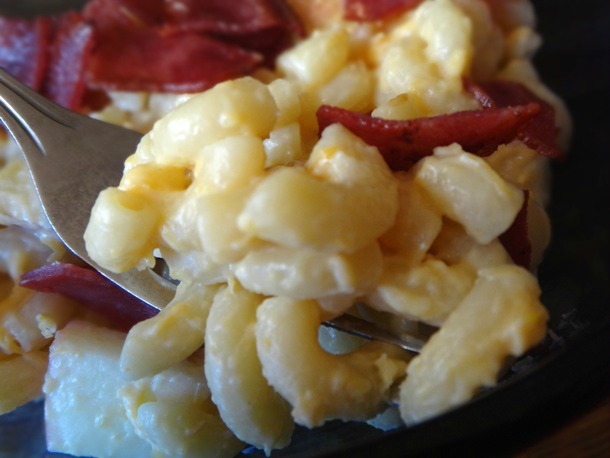 I can't count how many times I've said that to my daughter, but insert foot because this Butternut Squash Mac 'n Cheese with Apples and Bacon Recipe totally is! Sure, it's a mouthful to say, but it's totally palate pleasing, and your kids won't even notice the butternut squash hidden cleverly throughout. The prep work can be done while the noodles are boiling, so this recipe works for busy nights, and is a great use for leftover bacon.... if there ever is any! Cook the pasta according to its directions. Drain and return to pot over low heat. Add the butternut squash puree, chicken broth, evaporated milk, and cream cheese. When combined, add the salt. Add the apples to the pasta. Stir to combine, and add a tablespoon more broth or milk, if needed. Just before serving, mix in the cheese and stir until melted. 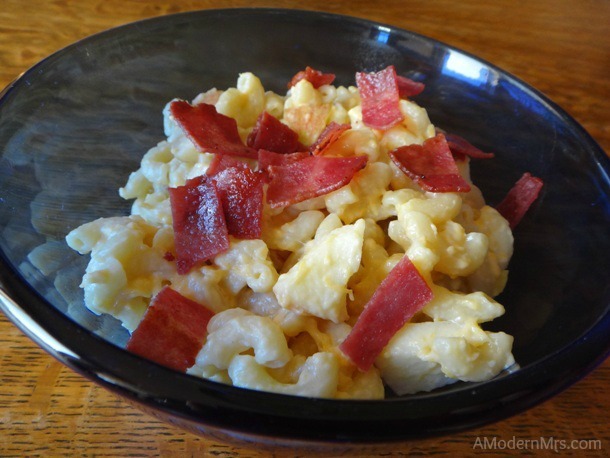 Top each serving with a tablespoon of bacon. Additional Notes: Due to the lack of butter, this recipe can dry out, especially once off the heat. If needed, add a tablespoon of milk or broth to restore creaminess.